With unsettling insight and disturbing clarity, How Fascism Works is an essential guidebook to our current national dilemma of democracy vs. authoritarianism. The fingerprints of the fascist past are visible in the present, and this volume bravely shines a light upon them. An endless question about history—does it repeat itself? The Allies triumphed over fascism nearly seventy-five years ago. But is it on the rise again? The national populism of Trump and Bannon; Brexit; Orban and the rise of the Hungarian right; the Italian five-star movement; Erdoğan—Jason Stanley has in this extraordinary book tried to answer these questions. For those in denial or in doubt, Stanley’s book provides overwhelming evidence that fascism is alive, well, and on the rise. It’s a clarion call to wake up, pay attention, and do something. No one has any doubt that fascism works; the question remains: How do we stop it? Stanley tells us that fascism is not a plan on how to govern but a plan on how to seize control. This is an important and essential book. There are moments in which the fate of humanity itself hangs in the balance, and such times always bring with them the resurrection of ugly myths. And yet, as Jason Stanley, one of this nation’s most important philosophers, makes clear, when such myths are deconstructed and their history is laid bare, we remember the extraordinary ties that in fact bind us together. And in the fire of that powerful recollection, modern-day fascism—the current myth-dependent moment of intolerance, xenophobia, and fearmongering in which we find ourselves—can be rendered to ash. Jason Stanley’s book comes at a most propitious time, when we must come to grips with the political consequences that may follow the rise of xenophobic populism. History teaches what those consequences are, and in his book Stanley, with great analytical and conceptual clarity, not only tells the story but more crucially provides a critical framework through which to see the insidious mechanisms at play that are threatening today’s democracies around the globe. 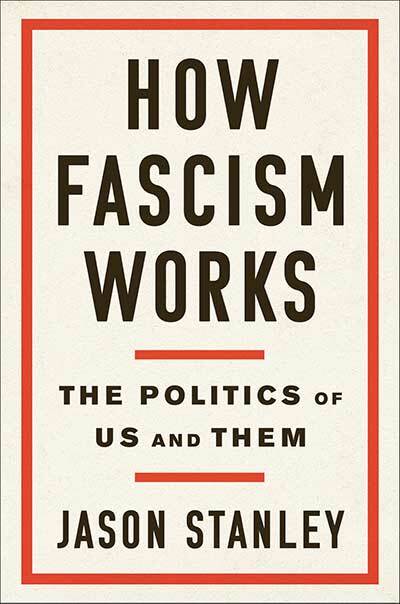 How Fascism Works is a must-read for all of us who take seriously our responsibility as citizens. A sharply argued and timely guide . . . Stanley’s highlighting of the politics of sexual anxiety is particularly welcome and relevant.